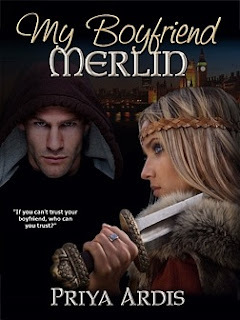 My Boyfriend Merlin is a YA Arthurian set in today’s world. Merlin goes to high school to recruit Candidates to pull the sword from the stone—one of them girlfriend. Novel Tag line: Merlin goes to high school to recruit Candidates to pull the sword from the stone— one of them his ex-girlfriend. If you can't trust your boyfriend, who can you trust? In this teen Arthurian, 17-year-old student president Arriane, aka Ryan, DuLac just found out her badass biker boyfriend, Matt, is a little older than he was letting on. By a few eons. In fact, he is really Merlin--the Merlin, King Arthur's Merlin, the greatest wizard who ever lived. But Ryan's not impressed. Tired of being a relationship loser, she'd rather kick his legendary behind. Sure, the world has been crazy ever since the sword and the stone fell out of the sky like a meteor. But despite gruesome gargoyles, a new world of magic, and the guy driving her crazy, Ryan knows that family is everything. Will Merlin sacrifice hers to save the world? Will she be able to stop him? Storygirl, Priya Ardis, loves books of all kinds--but especially the gooey ones that make your nose leak and let your latte go cold. Her young adult novel, My Boyfriend Merlin, came from a childhood of playing too much She-Ra and watching too much Spock. 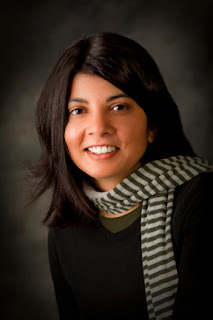 She started her first book at sixteen, writing in notebooks on long train rides. While reading My Boyfriend Merlin, she recommends pajamas first and a pumpkin spice anything for taste. What does she like to read? YA books! Coming-of-age books. Books with fantasy and magic with a cool heroine that's really just the girl next door. Books about mythology and legends. And, hello, Mr. Darcy anyone? Her favorite Arthurian piece is the poem The Lady of Shalott by Lord Alfred Tennyson. Thanks for showcasing My Boyfriend Merlin today!